What feline doesn't love to chase a squirrel? Our PetCandy Land catnip squirrels are just begging for a good game of toss, chase, fetch! What feline doesn't love to chase a squirrel? 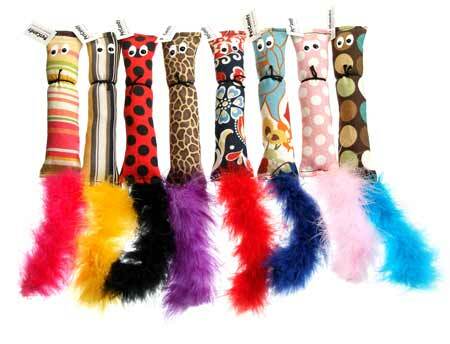 Our PetCandy Land catnip squirrels are just begging for a good game of toss, chase, fetch! Approximately 1-1/4 by 7 inches, plus tail. Squirrels are filled with 100% catnip (no poly-fill or other fillers)!